Warsaw, Poland and Palo Alto, CA, USA - April 10, 2018 - CodiLime ranks 49th on the FT 1000: the complete list of Europe's 1000 fastest growing companies. The company outperformed more than 950 companies from throughout the continent. Technology dominated this year's edition of the FT 1000: the complete list of Europe's fastest growing companies, with 155 pure technological players. 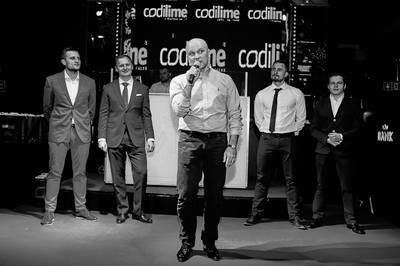 CodiLime was listed 49th on the strength of 2,057% revenue growth and tenfold employee growth in the 2013-2016 period. CodiLime ranks 49th on the FT 1000: the complete list of Europe’s 1000 fastest growing companies. The company outperformed more than 950 companies from throughout the continent. Technology dominated this year’s edition of the FT 1000: the complete list of Europe’s fastest growing companies, with 155 pure technological players. CodiLime was listed 49th on the strength of 2,057% revenue growth and tenfold employee growth in the 2013-2016 period. Austria, Belgium, Bulgaria, Croatia, Czech Republic, Denmark, Estonia, Finland, France, Germany, Greece, Hungary, Iceland, Ireland, Italy, Latvia, Lithuania, Luxembourg, Malta, Monaco, Netherlands, Norway, Poland, Portugal, Romania, Slovakia, Slovenia, Spain, Sweden, Switzerland, United Kingdom. 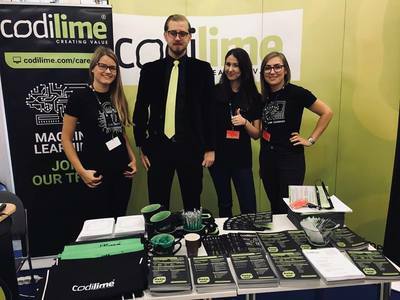 “As a future-oriented company operating in the most innovative technological areas such as cybersecurity, artificial intelligence and networks, I consider that growth a success that wouldn’t have been possible without the outstanding people we have on board,” said Tomasz Kulakowski, CEO and founder of CodiLime. Europe has recovered from the recent financial crisis, and Britain’s looming exit from the EU has not proven as disastrous as feared. The countries of the monetary union significantly outperformed the US economy (2.3% expansion rate) with combined economic growth of 2,5%. “In times of growth, companies look to invest in innovative business solutions. To provide our clients the best support they need to win on their markets, we offer services based on the most cutting edge technologies,” Kulakowski commented. 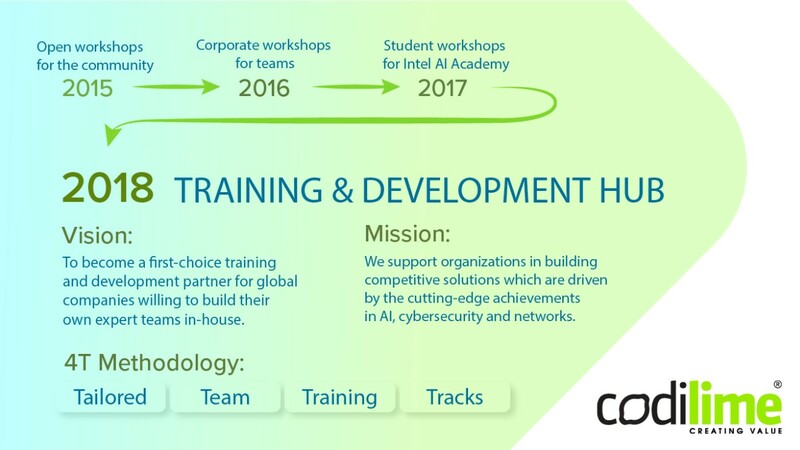 CodiLime delivers services in three key areas – cybersecurity, artificial intelligence and networks, with the highest focus currently on developing machine learning and deep learning models for both public and private sector clients. According to the Accenture Institute for High Performance, AI technology is predicted to double the economic output of developed countries by 2035. Today, only 15% of companies use AI, but 31% have said it is on their agenda for the next 12 months. AI’s market size is predicted to reach $59,748 billion by 2025. This year CodiLime plans to significantly grow its networks offer and provide more services based on software-defined networking (SDN) solutions. “As the world is more and more dependent on internet and seamless data transmission, we see high potential for growth in the telecommunications and networking sector. That’s why I consider the coming few years crucial to our further development in SDN”, Kulakowski said. Artificial Intelligence has become a critical driver for best-in-class predictive analytics and decision making. AI solutions, however, will remain a high priority for the company as there’s still a lot to be done. 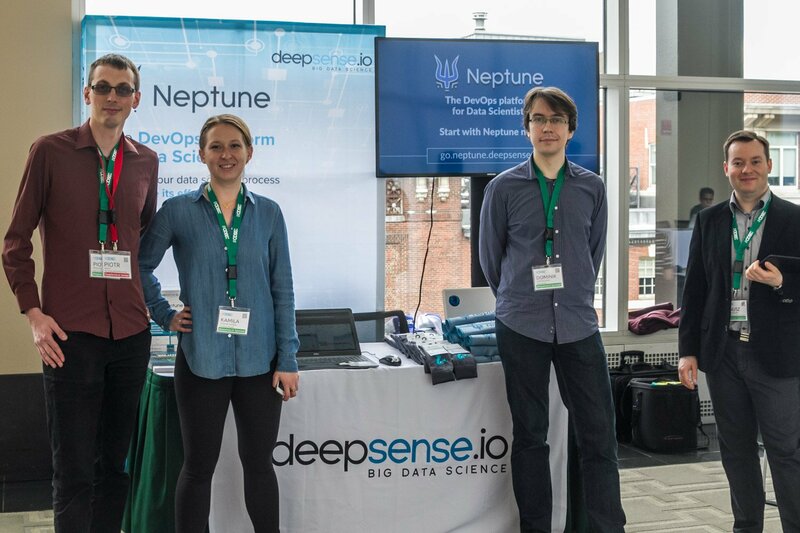 deepsense.ai, CodiLime’s AI-focused wing, was widely recognized for developing a deep learning model that could recognize right whales in photographs taken during aerial surveys. Data scientists from deepsense.ai built a facial recognition algorithm that could recognize a specific whale from a given photo. As the whales are on the brink of extinction, environmentalists and scientists from American NOAA had struggled to track the population in their effort to keep it healthy and safe. Their model achieved 87% accuracy, which was far higher than the human eye is capable of, and saved biologists the time, effort and guesswork involved with identifying the whales with their own, less exacting eyes. Bounding box produced by the head localizer. “AI is presenting the world with countless opportunities, including fraud detection in the financial sector or customer churn prediction in retail. Some of them, like our “Facebook for whales”, come completely out of the blue. 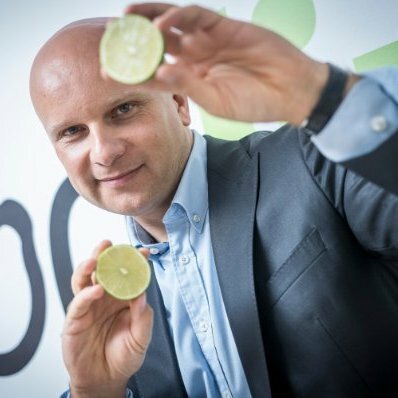 But this shows that the only limitation we have when creating new innovative solutions is a lack of creativity, so keep thinking outside the box!”, Kulakowski concluded. 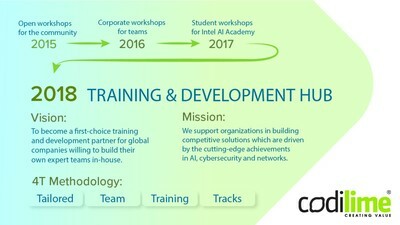 CodiLime provides professional IT consulting and software engineering services for global clients in three core areas: Networks, Security and Data Science & Artificial Intelligence (through its deepsense.ai subsidiary). The company has also created the Training & Development Hub to support organizations in building competitive solutions by helping them develop expert skills in-house. CodiLime was established in 2011 and is made up of over 200 team members. The company’s clients include NTT, Intel, NVIDIA, IBM, Nielsen, L’Oreal, Hitachi and Juniper Networks. deepsense.ai supports organizations in unlocking their data potential at all stages of data science maturity: it delivers AI-based solutions and helps clients grow data science skills in-house under the Training & Development Hub. deepsense.ai is founded and managed by CodiLime.